Normally I like my guacamole pretty plain, just avocado, lime juice and salt and pepper. But on tv the other day there was mention of adding pomegranate, which I thought sounded gorgeous! 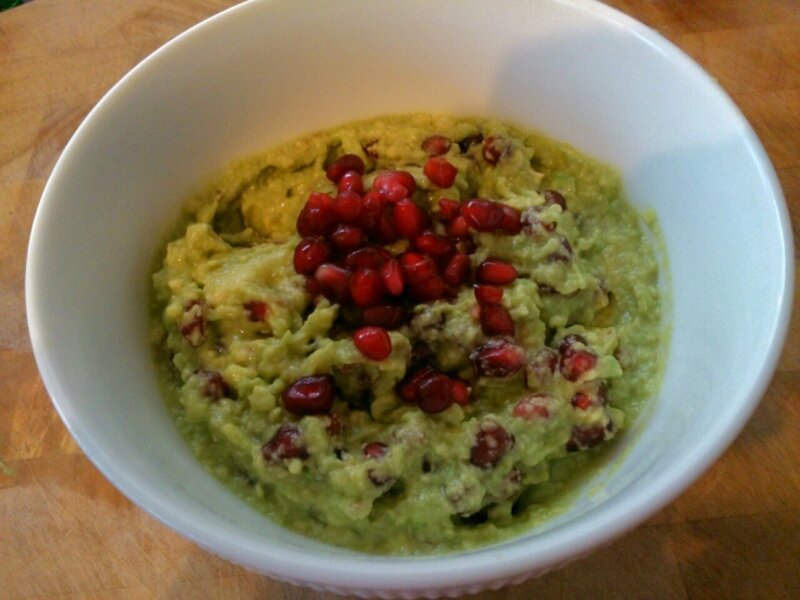 So I bought two lovely ripe avocados from the shops, along with pomegranate seeds so I could give it a try. In the spirit of experimentation I thought it would be fun to make one batch with the pomegranate, and one with something else. I’ve got some dill that I’ve been using in rice salads, so that seemed like a good option! They both turned out to be delicious, and a really nice alternative to plain guacamole. And so so easy! To make either of the guacamoles, cut the avocado in half and remove the stone. Squeeze the avocado flesh out of the skin into a small bowl, if it’s ripe there’s no need to use a knife or spoon, it should just slip out. 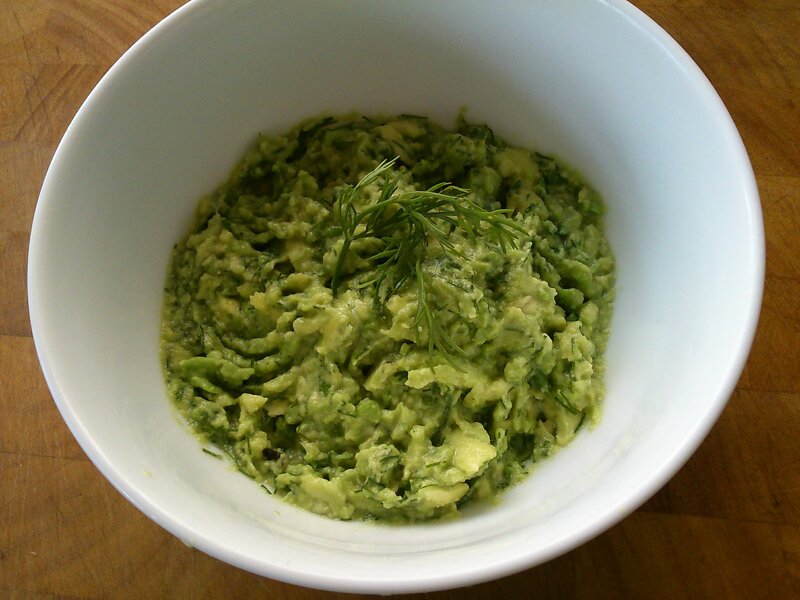 Mash the avocado with a fork, and then mix through the rest of the ingredients. Start with the smaller amount of lime juice/ vinegar and add more to taste.